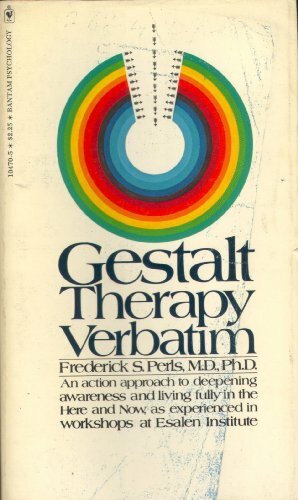 Synopsis: Compiled and edited from transcriptions of three workshop/demonstrations that took place at the Esalen Institute in 1968, the first section of this book includes four lectures wherein Perls presents a clear explanation in simple terms of the basic ideas he believed underlie the philosophy and methodology of Gestalt therapy. The lectures are followed by verbatim transcripts of work Perls did with workshop participants. This Gestalt Journal Press edition includes an introduction by Michael Vincent Miller that explores the political and cultural milieu when Gestalt therapy leapt to the "theatrical forefront" of the human potential movement.